If your ecommerce store has to survive in the world of online commerce, you have to find new ways to promote your store over the web and make your products visible to the widest number of customers possible. You can do this easily by integrating your store with eBay, one of the largest ecommerce platforms out there that is accessible in over 150 nations. At ChannelSale, we can use advanced software management tools such as our Pinnacle Cart eBay plugin in order to do the integration for you. Our marketing specialists can promote your store across the widest range of platforms online. We use our most sophisticated Pinnacle Cart eBay extension and Pinnacle Cart eBay app in order to make the integration as smooth and easy as possible for you. Other than Pinnacle Cart eBay integration, we can help you with complete management of your store with shipping and order tracking management services, real-time inventory management and more. We can setup for you automated product listing, product stock updates, user logging activity updates and various other types of services that can assist you with your store management. We utilize granular level item category mappings for synchronizing your store items with the most suitable product categories on eBay. Our Pinnacle Cart eBay connector ensures proper flawless syncing of your store items with that of eBay products. We can setup variable pricing for various marketplaces, such as eBay, and mark up costs for your products for various online shopping engines. We can assist you to sell products of any colour, shape, size or type. Whether you have varied or single products, kits, group items or bundles, we can provide you with assistance. Get started immediately and profit from the lucrative eBay platform. 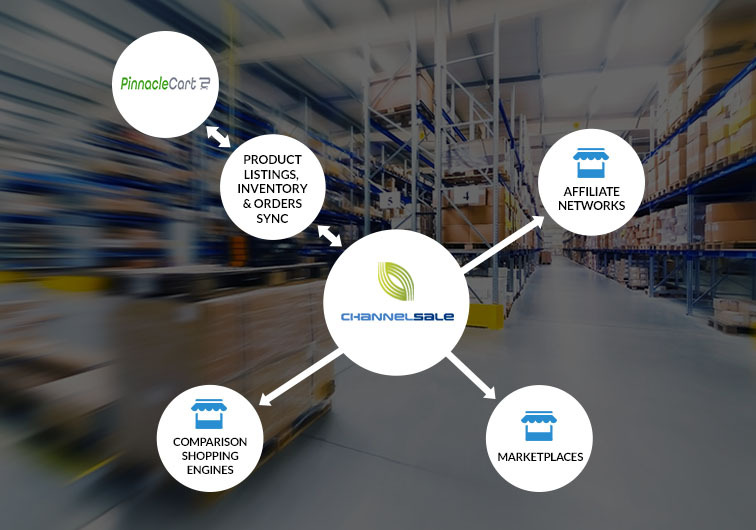 Call us on +1-866-709-9495 or mail us at info@channelsale.com in order speak with any of our ChannelSale Client Service Executives to sign up with us or for further enquiries.